Daily Debate: Which Is Your Favorite Leviathan? 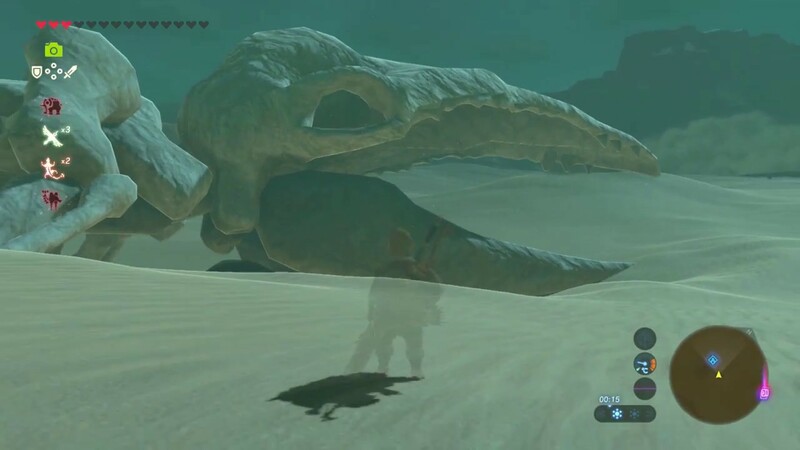 It was in Breath of the Wild that we were first introduced to the race of Leviathans, a species of giant whale-like creatures. Breath of the Wild features three Leviathans, each speculated to have been killed by a different cataclysmic event, a skeleton in the Gerudo Desert killed by prolonged drought, one in the Hebra Mountains killed by a severe ice age, and the third in the Eldin Mountains killed by a volcanic eruption. This, however, is not the first appearance of these enormous whale-like creatures. Looking back on the series, we can actually find many deities that fit the description of a Leviathan. The most obvious that struck me was Levias from Skyward Sword. The name already suggests some kind of connection. I also always thought of Levias as being the great-great-great-granddaddy of Lord Jabu Jabu in Ocarina of Time or the Oracle games (even Lord Chapu-Chapu in Majora’s Mask!) Of course, this would then also include Jabun, presumably a desendant of Lord Jabu Jabu seen in The Wind Waker. From Phantom Hourglass is the Sky Whale, as well as Oshus’ true form. Then of course, there is my personal favorite, the Wind Fish from Link’s Awakening. So which Leviathan is your favorite and why? Let us know in the comments!